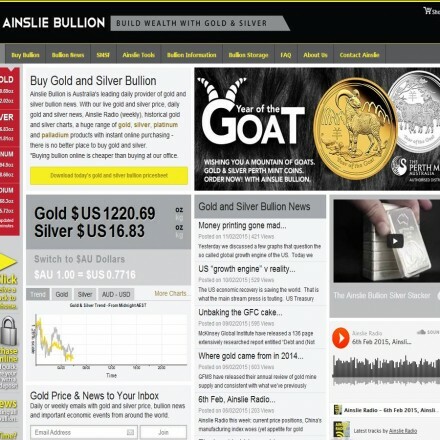 Ainslie Bullion commenced trading as the Australian Bullion Company in 1974. (Our) scale of operation means we buy at competitive prices and have greater capacity for immediate supply of a full range of bullion product. We also have the capacity through scale of being able to buy back larger amounts of bullion, settling immediately in cash. Ainslie Bullion are a large long-established national bullion dealer, selling a diverse range of investment grade bullion bars, coins and semi-numismatics at low premiums. They are well known for their regular metals news and analysis, making them popular both with retail and professional investors. When doing business with Ainslie Bullion - please say you saw them in Bullion.Directory. 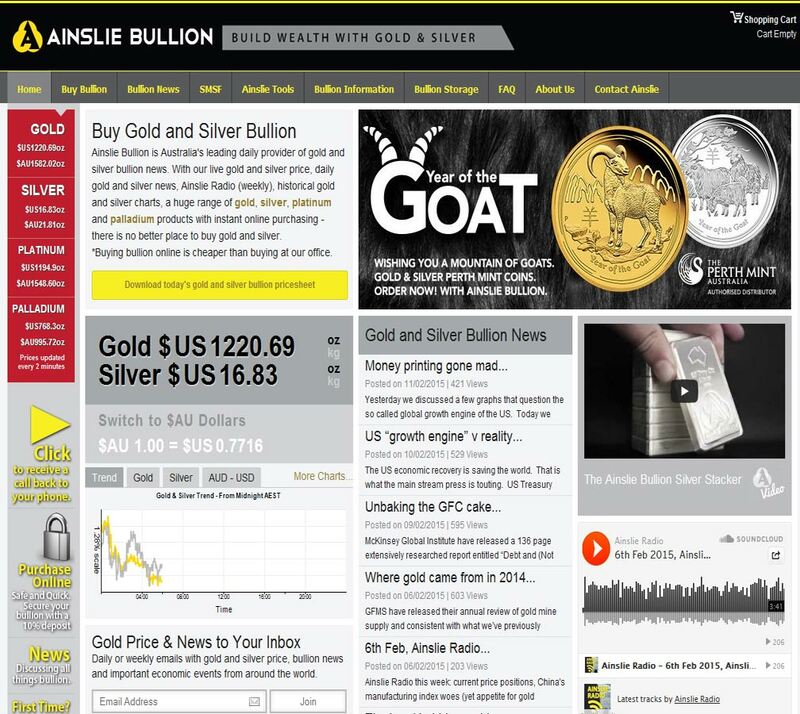 Read or add Ainslie Bullion reviews and ratings using the "reviews" tab above. All Ainslie Bullion details are believed to be correct at the time of listing. Please report errors here.